Make Phisher - Hi friends, I hope you all are fine, After my previous article for "How to hack gmail account" I am again here with new Hacking Tutorial. 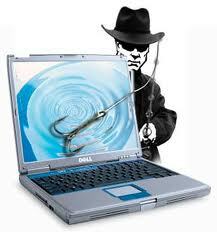 I have been providing many Hack Accounts Tricks with the help of Phishing, But its the correct time for all of you to learn "How To Make Phisher". Disclaimer : This article is for study purpose only. I want to make you aware how phishing is done . Please don't misuse this Knowledge. Don't "Hack Accounts" , its illegal. We are not responsible for any hack done by you..
2. Now do right click and save the page. 4. After editing save the page as "index.html"
7. Now create your own free web hosting account at my3gb.com and upload all the three files. How to Hack Accounts ? So friends, I hope you have enjoyed this Hacking Tricks, Its a part of hacking accounts, If you are facing any problem then please do share your feedback and problems, I am always here to help you out. Enjoy and don't forget to comment!! !